Drive shaft pinion gear only, 12 tooth pinion gear. 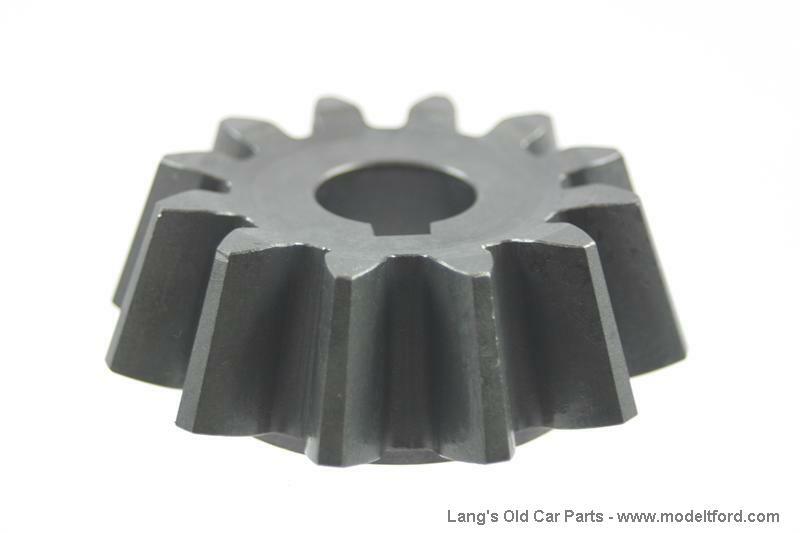 Use with 39 tooth ring gear for 3.25-1 gear ratio OR #2518R 40 tooth ring gear for 3.33-1 ratio. Slows the engine speed down, reduces power but causes less wear and tear at higher driving speeds. 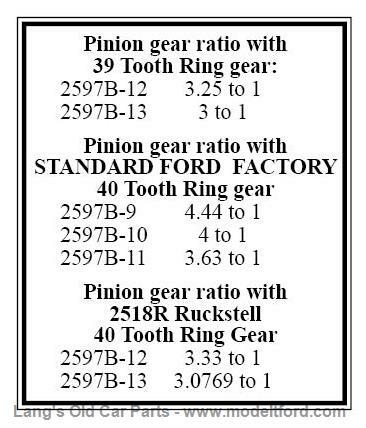 ideal for use with Ruckstells (NOT FOR USE with a Standard Ford Factory 40 tooth ring gear. 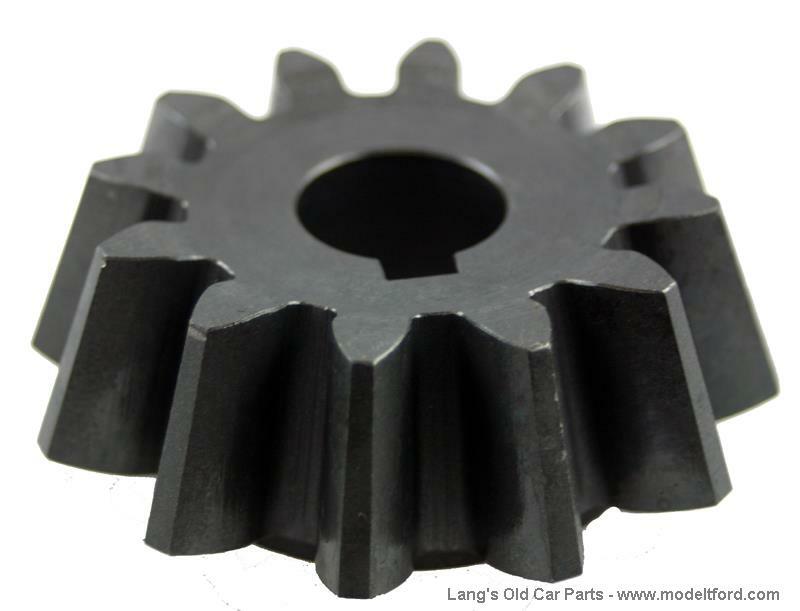 This is the Pinion Gear ONLY that mounts to the end of the drive shaft. Made with high quality, 4140 heat treated steel. Excellent quality. Lang’s Tech Tip! 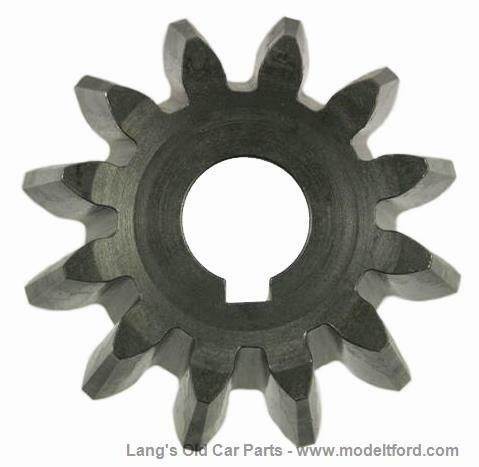 If you have pits or wear on your current large ring gear, it is not recommended to change only the pinion gear. It will cause noise and accelerated ring gear failure. If you have any question it is best to change the set.